Oulu is the fastest growing city in Arctic Europe – a cool city with hot business in the middle of a large market area between Sweden, Norway and Russia, just an hour’s flight from Helsinki. Being the most important commercial, logistic, educational and cultural hub of northern Finland, Oulu is also called the Capital of Northern Scandinavia, where some 25,000 students attend the city’s two universities. Oulu Technical and Educational Visits offer guided tours to professionals, students, groups and individuals. BusinessOulu and the partner companies are offering Technical Visits for different fields, e.g. ICT, HealthCare and Cleantech. 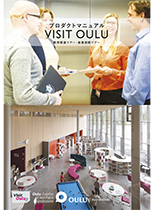 Oulu Educational Visits comprises visits and training programs for adults and professionals in the field of education, and programs suitable for camp schools and school excursions. We give you an opportunity to experience an exciting, deeper look behind the scenes. Welcome to the cool North! The vibrant city of Oulu is the most populous city in NorthernFinland and the fifth most populous city in the country. Oulu is located just an hour’s flight from Helsinki, it buzzes with innovations and opportunities. It is also considered one of Europe’s ”living labs”, where residents experiment with new technology at a communitywide scale. Oulu attracts a lot of visitors and is worldwide known as a city of high technology. universities, and the public sectors are being continuously developed. Today, Oulu is aiming to be the global forerunner in the development of 5G. Finland is world-famous for its high-quality education system. This is proven by, for example, the OECD Pisa assessment. 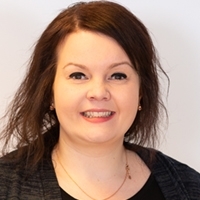 Oulu is the leading city of education in northern Finland, the most popular student city and also the centre and innovative forerunner of new teaching philosophies. Oulu Educational Visits comprises visits and training programs for adults and professionals in the field of education, and programs suitable for camp schools and school excursions. 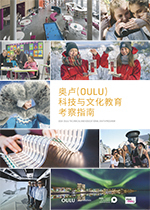 Oulu Technical and Educational Visits Program has been compiled by BusinessOulu, the City of Oulu business development entity. 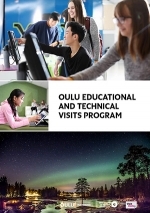 For further information about Oulu Technical and Educational Visits Program in general and price list for touroperators please contact: BusinessOulu / Oulu Convention Bureau, conventionoulu@oulu.com.